This lavish Villa of 3 stages named Villa Selena offers to the guests an unforgettable holiday experience. 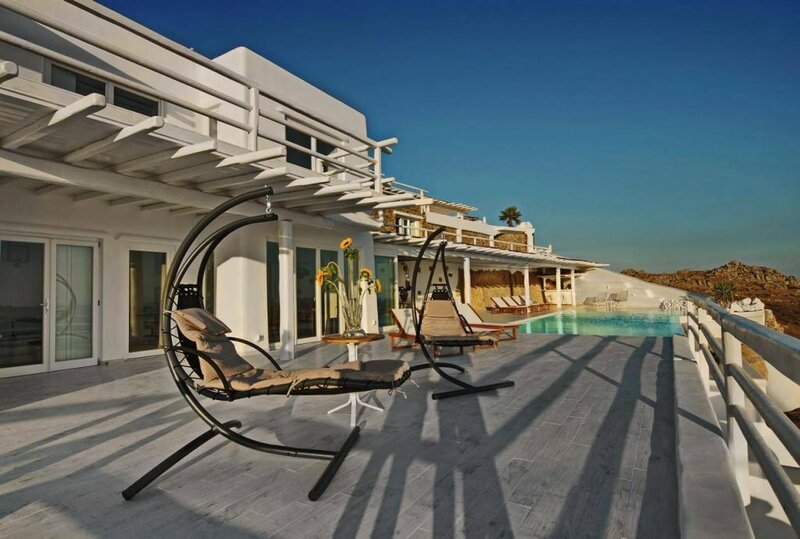 This Villa is ideal for families, friends or couples who wish to experience Mykonos in a relaxed and private place offering many facilities and other services. 3 en suite rooms (independent guest rooms 70sq m each) with private balcony all with amazing Sea View all air-conditioned with safety boxes and private TV CD players. Main entrance, pool area, bar, sun lounges, hammocks, sunbeds, BBQ, outdoor dining area, salon with table for 14 guests, kitchen and 3 en suite double bedrooms - all areas are fully air-conditioned. 2 en suite bedrooms. Air-condition, TV and CD player, safety box.